Just landed, I was looking through the window as we were approaching the airport building, it wrote ‘Ostende’. The name of this Belgian coastal town was familiar. I have heard it before… then I remembered, it was here, where one of my favorite singers, Marvin Gaye, came to retreat and to find himself. 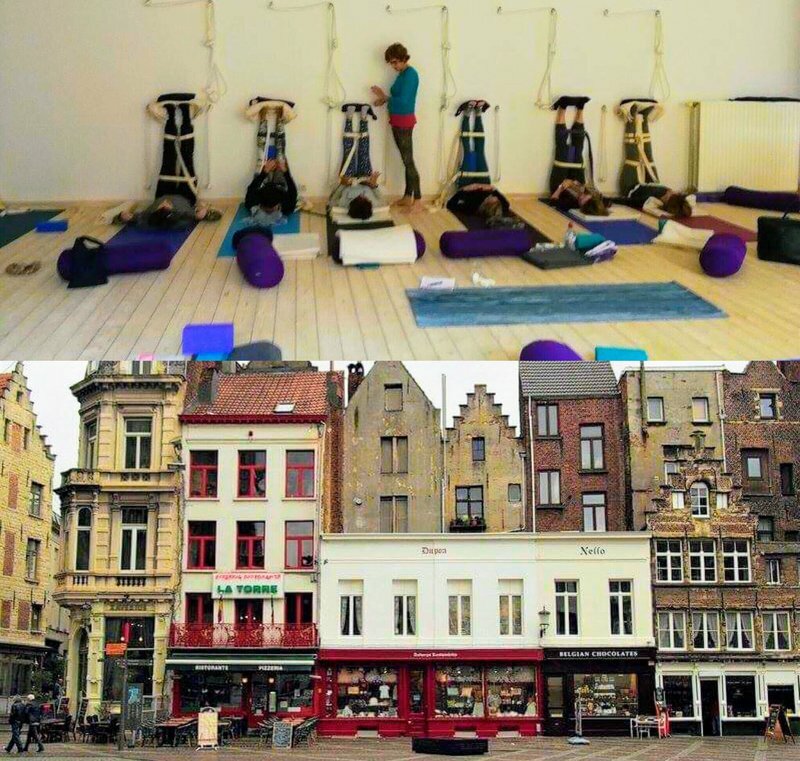 … there must be something special about this country, Belgium. I was excited to find out what it will present and what I will find here. 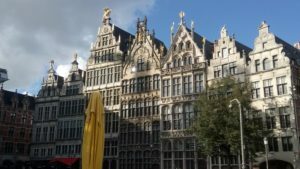 Antwerp is a port city, lively and diverse. When walking through the streets, you see old and new buildings fit together tastefully, with elaborated art and craftmanship. It is a feast for the eyes pleasing the senses. People from all over the world live here and blend in. 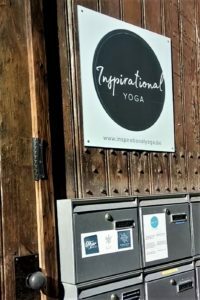 Entering a yoga studio for the first time always inspires me. I try to understand how I feel being in this new space. Can I acclimatize and be myself in this environment? 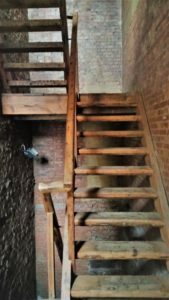 Old and new blends: old staircase leading to a new yoga studio. 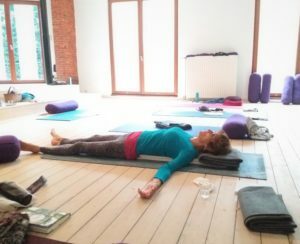 I found myself in this newly renovated yoga studio. Spacious, light, well equipped and clean, making it easy to teach - I could experience a sense of lightness and openness. 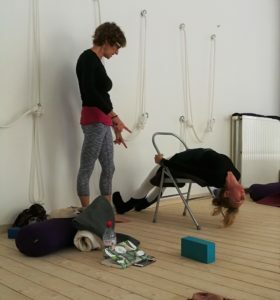 Using a chair for supported backward bends was new to the students. I think they enjoyed it.